This newly updated, light-filled three bedroom, two-and-a-half bath home is full of character, both old-fashioned and modern. 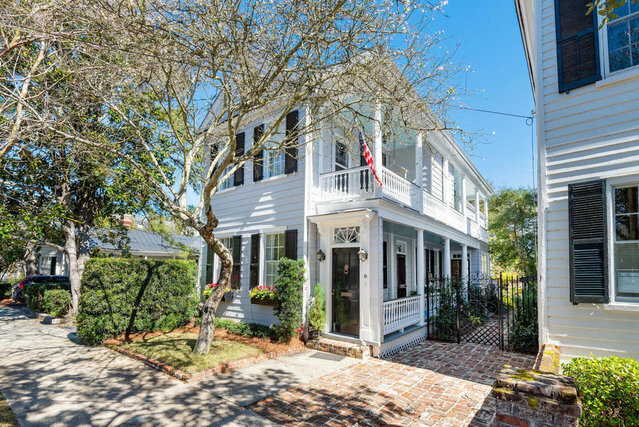 With 9-foot-plus ceilings on the first level, wainscoting, detailed crown molding, two working gas fireplaces and original pine floors, you experience the elegance of an old Charleston home.The newly updated kitchen boasts marble countertops, top-of-the-line appliances, built-in bar, and a breakfast area. The kitchen flows into the den, where glass doors invite you to relax in the mature, private Charleston garden. Garden was custom designed over 10 years ago and was recently updated and thriving. The second floor master suite overlooks this garden.